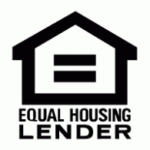 November 30, 2009 – HUD issues Mortgagee Letter ML2009-49 clarifying subordinate liens for HECM Reverse Mortgages. Loan modifications for senior homeowners are possible if the existing mortgage lender is willing to lower the principal balance to meet the net lending limit of HECM Reverse Mortgages. Listen to how it worked for this borrower. The borrower cannot modify their existing mortgage to create Subordinate Financing behind the HECM Reverse Mortgage, the balance of the existing mortgage must be paid in full at the time of HECM closing. November 18, 2009 – Big changes in store for FHA appraisals in 2010! Three new mortgagee letters 2009-28ML, 2009-29ML and 2009-30ML describe these changes and the legislation surrounding them. Will this legislation impact the quality of reverse mortgage appraisals and ultimately the appraised value? …. Maybe…. Another reason to get your application in before the end of the year. Call (800) 684-9438 or contact us to learn more!